Rav Aharon of Karlin traveled to Horodna to try to bring Rav Alexander Ziskind to Chassidus. His goal was to persuade him to come to the Maggid of Mezeritch the successor of the Baal Shem Tov for Shabbos. Successful in his mission, Rav Aharon returned to Mezeritch for Shabbos with Rav Alexander Ziskind. During the Friday night seudah the Maggid did not speak any Divrei Torah only Divrei Chol. This caused great pain to Rav Alexander Ziskind but he patiently waited for the morning seudah. The scene replayed itself again with an absence of Divrei Torah and only Divrei Chol. Sitting through Seudah Shlishis with the same results totally destroyed Rav Alexander Ziskind. 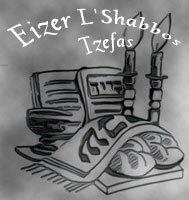 As soon as Motza'ei Shabbos came he ran out of Mezeritch never to return again. When Rav Aharon of Karlin asked the Maggid why he spoke Divrei chol and not Divrei Torah he replied that he saw in Rav Alexander Ziskind a Tzaddik Tamim and did not want to influence him to change his ways in Avodas Hashem. He felt he would only detract from him and not improve him at all. There is a view that maintains that "Chassidus has nothing essential to offer the Torah Jew – it's only because the old systems of Torah greatness and piety weren't reaching the masses that Chassidus needed to arrive – basically to serve the disenfranchised. And even today, it is not really all that needed, and it would be better if people could live without the stuff and just spend their day learning "real" Torah and Nigla and living in the pre-Chassidic traditions. Then we could finally put this embarrassment called Chassidus out to pasture." 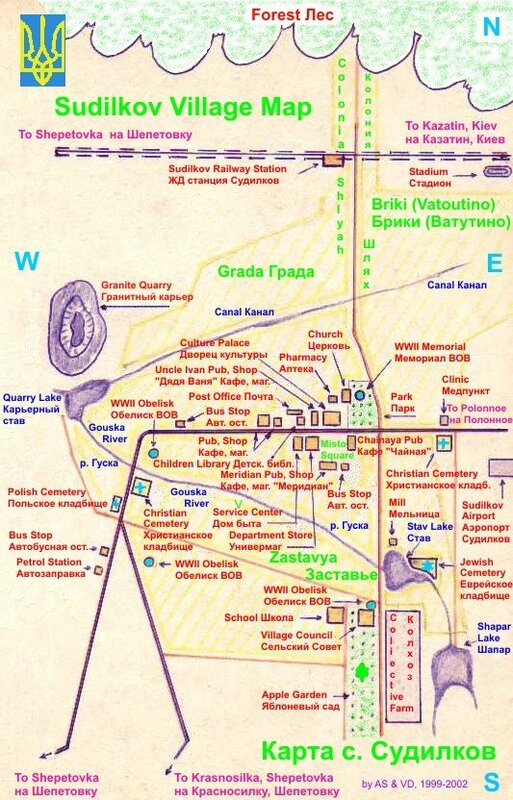 On the other hand, there is another opinion that maintains that Chassidus is not only "another pshat," but that Chassidus is necessary, essential, and a revelation that one is obligated to study to be a religious Jew in our time – and without it one still stumbles in the dark in a world where we have been given a torch to see with. And then there are those who find themselves somewhere in the middle. And all of that is fine; everyone is entitled to their views and opinions. But I'm just not convinced that the Maggid would have been of the opinion that, "Rav Alexander Ziskind was such a Tzaddik Tamim that he didn't want to influence him to change his ways in Avodas Hashem". I might have the identity wrong, but if I remember correctly the story is about the Baal HaTanya and Rabbi Pinchas Reizes's (an early Chabad Chossid) father, the Shklover Gaon. This man was a great Gaon in Torah, who belonged to the "Misnagdik" camp that eventually developed great respect for the Alter Rebbe. After some time he asked the Alter Rebbe to be his Rebbe and he would be his chossid. However, the Alter Rebbe quoted a line from yotzros that "he (the Gaon of Shklov) is not made from the dough from which chassidim are formed," and he told him to remain what he is. The stories are somewhat similar, but the message is quite different. Did the Baal Hatanya mean it as a praise for the Gaon, meaning, you're more worthy than the chassidim, or l'hefech? Or did he mean that they just have different shoresh haneshama? also, the story re: the Yesod V'Shoresh Ha'avodah sounds a lot like the story where the Magid met the Baal Shem Tov.. but with a very different outcome. I also was taken aback somewhat by the way the ma'aseh was presented on the Revach L'Neshama website. However, I would not necessarily assume that the presentation was colored by the political leanings of the presenter. The nusach of the ma'aseh I heard is that the Maggid said that the Yesod V'shoresh Ho'avodah already embodies the essence of Chassidus. However, since he is not known to be associated with the talmidim of the Ba'al Shem Tov, his sefer will be able to help all Yidden, including the Misnagdim, in their avodas Ha-shem. If, however, it would become known that he is aligned with the Maggid, then the Misnagdim would eschew learning the Yesod V'shoresh Ho'avodah's sefer. Beautiful Blog! Thank you very much! As for the story about the Maggid and the Baal Yesod Ve-Shoresh Ha-Avodah, I have no idea if it is true. 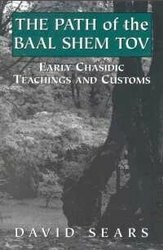 However, one might see a basis for the idea that Rav Ziskind had already grasped the idea of Chassidus on his own, because he integrates pnimiyus ha-Torah at the level of everyday avodas Hashem with enthusiasm and joy, in a manner that is accessible to a wide range of readers. Having said that, I am personally not inclined to accept this story because the sefer, as extremely chashuv as it surely is, does not have the same ruach of a Chassidishe sefer, the "m'lo kol haaretz kivodo" of Toras HaBaal Shem Tov. And as my chaver, Reb Dovid Zeitlin once pointed out to me, while the Yesod Ve-Shoresh Ha-Avodah has lots of fiery hisorerus and spiritual striving, it lacks the hischazkus, the self-strengthening we need when we are not in a state of inspiration and exaltation. This we find in Chassidus, especially in Breslov. Nevertheless, "kulam ahuvim,kulam berurim," these were all awesome tzaddikim, and we need to learn from them all! i also heard this story. It is also written in the forward to the Sefer Yesod V'Shoresh HaAvodah in just about the same language. 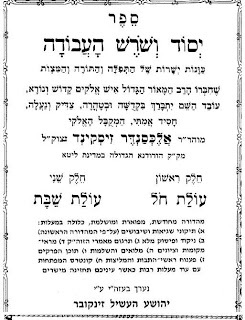 The Sefer was printed in Bnei Brak by no less than "Chasdei Chaim" the publishing arm of the Nadvorna Chasidim.